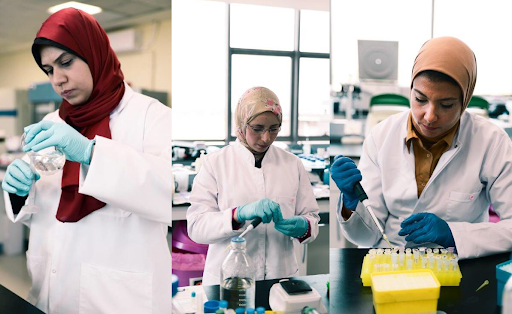 In the last 10 years, the Egyptian research community has been growing exponentially, resulting in building a good research base of more than 100,000 research, around 50 universities, and 120 research centers with high-quality functional equipment. In addition to that, there has been a growing number of civil societies with a supportive role to Science and Technology. In 2017, SCImago Journal and Country Rank, a public portal that features journals and countries’ scientific indicators, ranked Egypt in the 35th place out of 233 countries in scientific research. Although the national spending on scientific research has reached 17 Billion EGP. In 2017, R&D infrastructure was still extremely expensive, one piece of equipment can cost from 50K to 5M EGP, so it’s almost impossible to find one lab, that is self-sufficient in terms of facilities to keep up with the competition in R&D world. They sometimes find it hard to access and use existing infrastructure in public research institutions, which costs time, money, and sometimes dropping that specific part in the research. 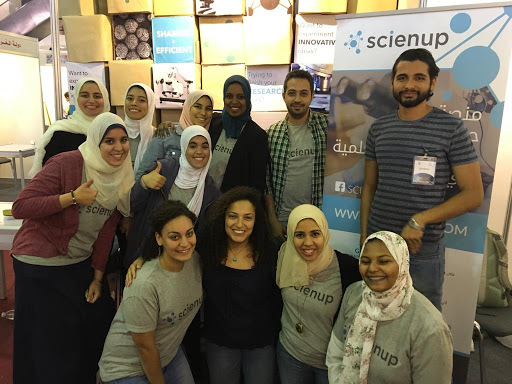 Recently an Egyptian startup, Scienup, launched to help researchers overcome these challenges. Scienup is the first online marketplace for scientific research services and experiments in Egypt. The platform helps science and engineering researchers to find the equipment or carry out the experiment they need. “We want to support scientists and engineers to focus on innovating instead of worrying about the equipment they need to run the experiment,” said Yomna Emad, Scienup founder, and managing director. Besides, Scienup also aims to support service providers, “we want to assist our providers by promoting and showcasing their facilities, and helping them collaborate on a larger scale, and be sustainable.” Emad continued. With facilitating a market-driven collaboration model, Scienup aims at ultimately pushing the technology commercialization wheel forward and support proper management of funds for the entire R&D sector. The startup has been operating for almost three months now providing over 500+ equipment in its database. 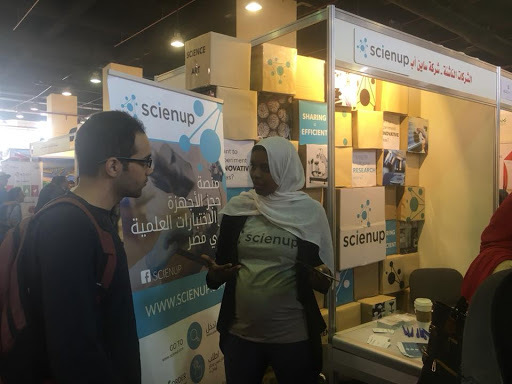 Recently Scienup exhibited in Cairo Innovates 2018, the hub for Egyptian scientists and engineers. “Our mission during Cairo Innovates was to interact with both target audience, listen to them and understand their needs,” Emad explained. Scienup is currently accelerated in Flat6labs’ current cycle as the team is going to pitch during the accelerator’s 11th cycle demo day on December 7th.